Hello Everyone! 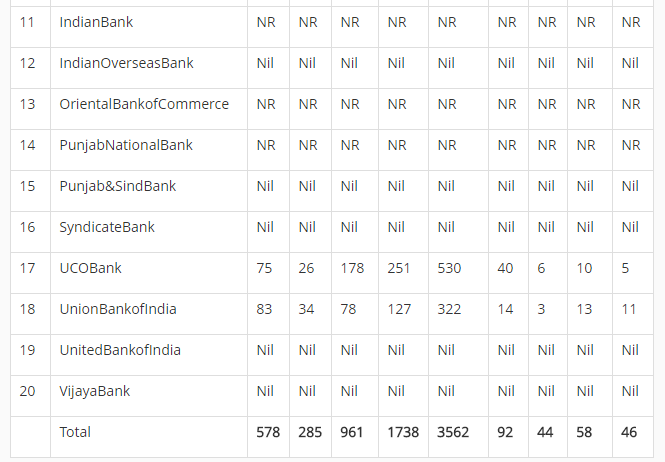 Are you looking for jobs under the Banking Sector? If you are, then well its a great opportunity for you guys. The Institute of Banking Personnel Selection(IBPS) invites big vacancy every year. The Institute of Banking which is also known as IBPS conducts the IBPS PO Exam every year. This year, Institute of Banking Personnel Selection has released IBPS PO Notification 2018 on 9th August 2018. Candidates who are waiting to apply for IBPS PO Recruitment 2018 shall be able to fill the application form from 14th August 2018. Every year IBPS conducts examination for the selection of candidates to Probationary Officer post in various banks. The interested and eligible candidates can fill IBPS PO application form which will be made available online on the website ibps.in. The last date to apply for IBPS CRP PO VIII is 4th September 2018. The Application Form is available online on the Official Website. 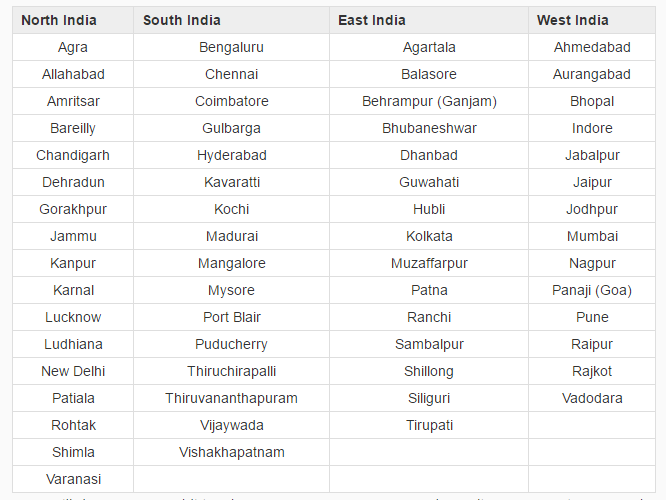 Conducted in various locations throughout India. The IBPS PO Exam is conducted online. This year, the IBPS CWE VII PO Pre Exam will be conducted in October 2018. The IBPS PO Main Examination will be held on 26th November 2018. Every year, more than 20 Lakh of candidates appear for IBPS PO Examination. IBPS PO Online Registration 2018 will start from August 2018. There are 3562 Vacancies for the Post of the Probationary Officers and Management Trainees (MT). The minimum age of the candidate must be 20 years and 30 years. Age- Relaxation will be applicable as per the Government Norms. Candidates who are applying for the IBPS CWE/Bank PO Examination must be a citizen of India. Or must be a subject of Nepal/ Bhutan. Tibetan Refugee who came to India before 1stJanuary 1962, with an intention of permanent settlement. Person of Indian Origin (PIO) who was migrated from Burma, Pakistan, Sri Lanka, Vietnam, or East African countries of Zaire, Kenya, Tanzania, Uganda, Zambia, Ethiopia with an intention of getting permanent settlement in India. Candidates who belong to the 2, 3, and 4 Category must submit the Certificate of Eligibility issued by the Government of India. Candidates must hold a Graduation Degree in any of the streams such as B. A, B. Com, B. Sc, B. Tech etc. from a recognized Government University/ Institute of India. The percentage of the marks obtained in the Graduation should be mentioned at the time of the registration of IBPS Bank PO Examination. Candidate must have a basic computer knowledge. Candidates should have verbal and written proficiency in the Official Language of the State/ UT. Candidate should be able to read and write and speak the language. Application Fees for General and Other Categories is Rs 600/- (Application Fees including the intimation charges). The Application Fees is non-refundable and must be paid online through Credit/Debit Card/ Internet Banking or Pay through Offline(E- Challan ) only. After you get to know all the basic details regarding the IBPS CWE-VII PO 2018, candidates can now move ahead to fill in the application form. Before applying, you must make sure that you satisfy the eligibility criteria of the IBPS PO. Below are some of the important instructions that a candidate must take a note before filling the Online Application Form. The Registration of the Application Form is done online. Candidates must go through the Guide before applying for the Posts. Candidates who are applying must have a valid e-mail id and active mobile number. Photograph and Signature in the prescribed size. Candidates must fill in the application form from the Official Website. Candidates must provide correct information, provide false information can lead to the rejection of the application form. Once the Application Form is submitted candidates must keep a printout of the application form for future reference. After two-three months of Time Duration, admit cards will be issued. Click on the link provided below. If you are a new user, then click on the “New Registration” Link. Enter the required details such as – Name, Parent’s Name, Date of Birth, Email ID, Phone Number etc. After the Registration Process is complete, you will be provided with a Registration/ User ID and Password. Using the ID and Password, candidate has to login and start filling the basic details – Gender, Educational Qualifications, Category etc. Upload the scanned photograph and signature as per the specifications. Make the Payment of the Application Fees and submit the Application Form. Take the Printout of the Application Form and keep it safe till the completion of Recruitment Stages. Search for the Link that says- “IBPS (CWE- VII) PO 2018 Online Application” link. Start for the New Registration, if you are new candidate. Click on the “New Registration” link. Enter the required details- Name, Parent’s Name, Valid Email ID and Phone Number, Date of Birth etc. Click on the “Submit” button after entering the required details. After the successful registration, a Registration ID and a Password will be generated. Fill in the Application Form with correct details. Make the Application Fees Payment. Submit the Online Application Form. Take the Printout of the Application Form and keep it safe till the completion of the Recruitment Procedure. The Nodal Banks/ Participating Organizations will organize Pre- Exam Training. The Pre- Exam Training is conducted for the candidates who belong to the Reserved Category, Minority Communities at certain centers. IBPS will issued the IBPS PO Hall Ticket 2018 online on the official website. The Admit card will be issued only to those candidates who have successfully registered themselves for the Examination. The Admit card is released 10 to 15 days before the commencement of the Examination. IBPS PO Hall Ticket is a mandatory document and no candidate will be allowed to appear the Examination without an IBPS PO 2018 Admit Card. The Admit Card carries all the important details about the Examination and the candidate. The IBPS PO (CWE) Exam will be held online in various centers across India. Candidates can mention their options at the time of filling of the online application. The IBPS (CWE VII) 2018 will be held online. The Exam will be conducted in two parts Tier I (Preliminary) and II (Mains) Exam. The Examination is then followed by an Interview. A major change has been made this year, in the pattern of the Examination- The Mains Paper will be descriptive in nature. The IBPS PO Exam will be conducted online for a total time duration of 1 Hour. The Examination comprises of three sections- with having a total of 100 questions with a maximum score of 100 marks. A Negative marking of 0.25 will be done for every wrong answer. Candidates must clear the sectional cut-off to get qualified for the next round (Mains Exam). The IBPS Main Examination Paper will be Objective as well as Descriptive in Nature. The Examination is conducted online and has 4 sections and having a total score of 200 marks with a total time duration of 180 minutes. In the descriptive section of the Examination, there will be one section with a total score of 25 marks of 30 minutes of time duration. Negative marking of 0.25 marks will be awarded for every wrong answer. Candidate can’t leave the existing section before the allotted time. As mentioned in the above section, the Exam Pattern of the IBPS PO Mains 2018 has been changed. The Exam will comprise of both Objective and Descriptive Questions. On total the Exam will contain 5 sections: Reasoning and Computer, English Language, Data Analysis and Interpretation, General Awareness. The Descriptive Test will comprise of Letter Writing and Essay Test. The IBPS PO Result will be released after each phase of the Examination. The Final Merit List Wise and Category wise list will be prepared in descending order of the marks secured by the candidates in the Online Mains Examination and Interview. Candidates who fail within the number of vacancies in the merit list will be considered for the appointment subject to the Medical Fitness. The Interview procedure carries 100 marks. 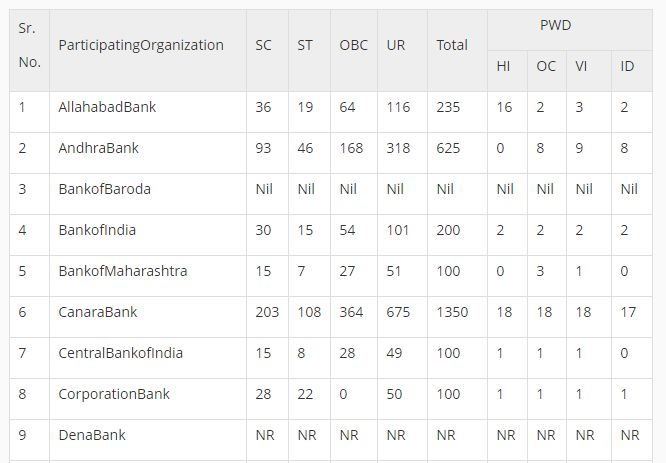 To qualify the interview, the candidate has to score 40%, (35% for SC/ST/OBC/PWD Candidates). The Interview Round is conducted for not less than 15 to 20 minutes. Questions will be asked from various sectors like Banking Sector, Current Affairs, General Awareness, etc. Merit List will be prepared on the basis of the marks obtained in the Main Examination and Interview. The weightage of the marks given in the written and the interview round is in the ratio 80:20 respectively. Here, Rs 23, 700/- is the revised basic pay of Bank PO as applicable on 1st January 2016. Thus, the new entrant in a Bank as PO is liable to get Rs 23, 700 as basic pay. Rs 980/- is the annual increment that a Bank PO will get and will be applicable for the period of 7 years. Candidates can check all the details about the IBPS PO 2018 here. We will update each and every bit of information related to the IBPS Bank PO 2018. If you have any queries regarding the Examination or the Recruitment Procedure of IBPS PO 2018 feel free to ask in the comment section.